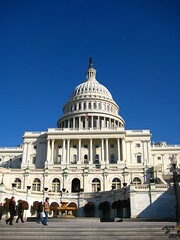 (Upper left) U.S. Capitol and a clear, blue sky on a cold Saturday. 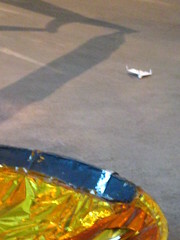 (Upper right) Paper plane near a Lunar Module landing leg at the NASM. 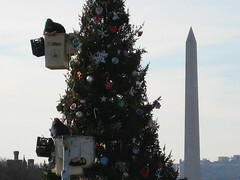 (Lower left) AOC workers set up the Capitol Christmas Tree, from Vermont. 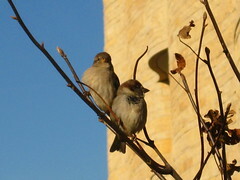 (Lower right) Finches in a tree by the NMAI.